reinsurance industry, anywhere in the world." Due to increased regulations in the issuance and handling of binding authorities, audits of Managing General Agents (MGA's) is now a necessary part of transacting such business. To enable our clients to satisfy their and any imposed regulations, we provide a comprehensive MGA review audit which reviews the four general areas of a MGA's business, those being: Corporate, Underwriting, Claims and Financial. In order that insurers can keep the costs associated with these audits as low as possible, we perform these audits with a fixed price cap. 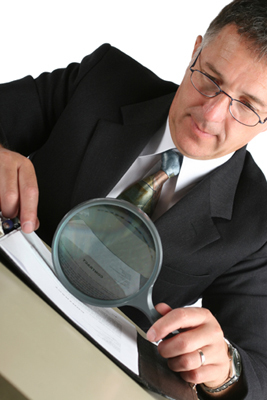 We also attempt to combine audits at the same MGA or locale to maximize fee and expense savings. Count on us to confirm that your money is being properly managed. Our comprehensive, diligent financial audits assure that you receive the correct funds from a Reinsured or Managing General Agent. We can also trace funds from their receipt, confirm their proper deposit and ensure that escrow accounts are appropriately protected. We will diligently confirm that adjustable premiums are accurately assessed and properly evaluate financial damage in accordance with the policy conditions following a property, casualty or contingency claim. Turn to our underwriting audits for specifically tailored assistance in achieving your goals. Our on-site audits ensure that your Reinsured or your Agent with delegated underwriting authority is conducting business within the agreed parameters. We can provide underwriting audit services on existing relationships, as well as pre-underwriting investigations on proposed facilities. We value your relationships with these companies as much as you do and we always respect this in all our endeavors. Ongoing monitoring of all types of vendors can result in significant cost savings. That’s why so many of our clients turn to us to perform objective fee audits. We specialize in audits of law firms, third party administrators and the offices of independent loss adjusters on behalf of Insurers and Reinsurers.